Sands’ Spot Blog Post 1! Let’s start with the text that is on my About Page – this is obviously a tiny bit redundant! Currently I am learning Piano using Playground Sessions. You’ll find me lurking in the Facebook “Playground Sessions Community” and occasionally posting videos of my progress in my quest to learn to play piano. 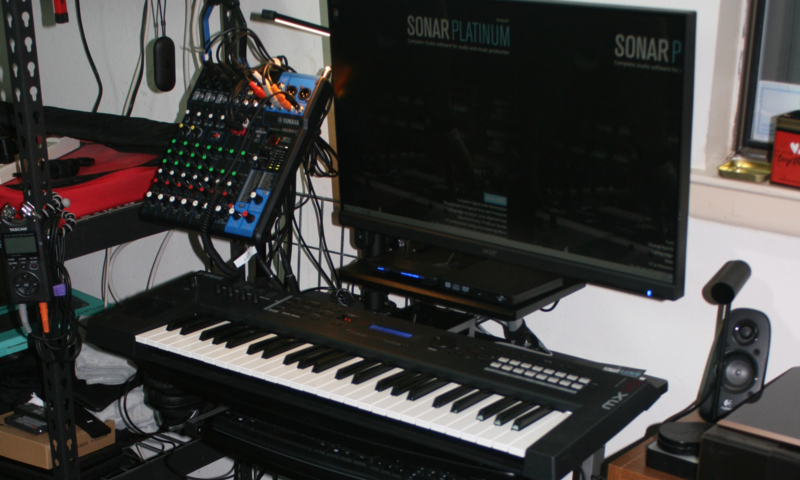 I use Cakewalk SONAR Platinum when I’m working on music not related to Playground Sessions. If you’ve heard of SONAR before, you might have heard that Gibson Brands, the parent company, closed it down. A new company, BandLab purchased the intellectual property and is planning to bring it back. Their announcement is here. In time I will add pages and content to this web site, though I haven’t planned it out that far. I really just wanted a place I can share information and maybe some pictures and other media. I know I could use Facebook for this, and I do to a degree. But Facebook posts get buried in the deluge that is Facebook. Here will be only me. I am unlikely to unleash a deluge! I have a number of hobbies, Computers, Music, Computer Music, Computer Gaming (mostly Skyrim), Astronomy, and Mustangs (automobiles). Astronomy is on a back burner for now, and I can only afford one Mustang at a time. So Computers and computer stuff take most of my hobby time. One aspect of music I’d like to share is Electronic Music and making it. I haven’t really made any of my own yet, but I have some tools. VCV rack is a computer based modular synthesizer system that emulates the Modular Synth systems like Eurorack Modular Synths (very customizable synthesis systems). I haven’t made much more than basic sounds with it yet. One thing that inspired my interest in VCV rack is an internet radio station called RadioSpiral.net. They are an Ambient Music (drone music, space music, etc.) station. They have several live shows each week with hosts that play live, at least some do, and will play songs from the station archive. There are a great number of Ambient Music artists with music in the archive. They have a presence in Second Life so if you have an Avatar you can visit them while they host their shows. Another aspect of music to share is that I am working on improving playing Piano using Playground Sessions. 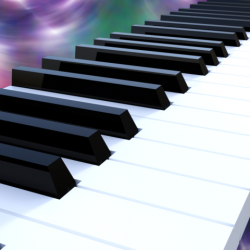 This is computer based lessons for piano. It really is a great way to learn to play piano. Or to improve your piano playing. It uses interactive features tied to your digital piano, or other electronic MIDI Keyboard, to provide a game like environment. You get points for playing the music, more points for doing it well, and a progress chart you can watch yourself improve. They also offer songs in their growing Music Store for you to learn with their software. They have a strong presence on Facebook in their Playground Sessions Community and a YouTube channel where they provide introductory lessons for many of their songs from the Music Store. Check them out.